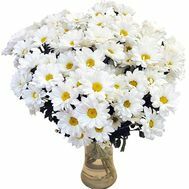 A bouquet of chamomiles is the ultimate dream of all people. A bouquet of chamomiles can smile and please any person, regardless of age. In addition, in the hot summer season, these seasonal flowers become a real salvation and stand for a very long time in the water. 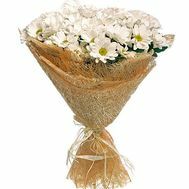 Also, a bouquet of chamomiles can be used as an additional gift to something else, becoming a true decoration of the day. 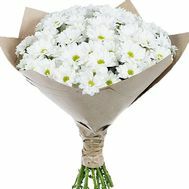 Buy flowers - and you definitely will not regret that they made such a choice! 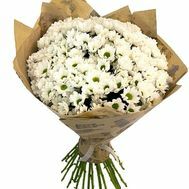 Order a large bouquet of camomiles with delivery, and we will be able to deliver the bouquet at any time convenient for you! 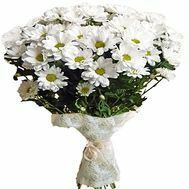 Bouquet with daisies: who is better to present? 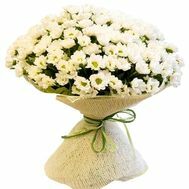 In our store you will find different bouquets of chamomiles. The price for them is moderate, and therefore everyone can afford a bit of meadow charm. 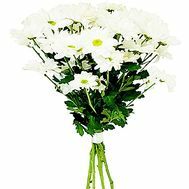 Regardless of who you need a gift for, you can safely choose chamomiles. You can buy them in any quantity and in any combination, like a monobook, and a composition. In case the chamomile season has already ended, our florists replace them with chamomile chrysanthemums. 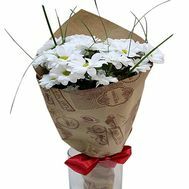 A small bouquet of camomiles will be appropriate to present on a date to your beloved girl, but a huge bunch of chamomiles will be an exquisite offering for your beloved mother on your birthday. 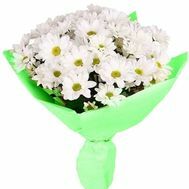 Buy a large bouquet of these flowers - it means to guarantee happiness and joy to the recipient for long weeks! 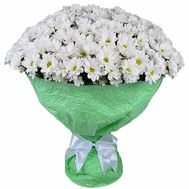 Our shop carries out delivery of flowers to any point of Ukraine, in the shortest possible time. You can see the reviews of our satisfied customers in the relevant section before you make a purchase. In our store there are always moderate prices, as well as pleasant events for the season are held and large discounts are given to regular customers! Do you want to make the holiday special and warm? 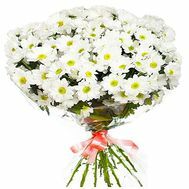 Buy a bouquet of field chamomiles, which will bring peace and a share of youthful adventurism on any of the days!